i'm trying a new time for blogging, since blogging in the evenings just hasn't been working as well lately! hopefully, afternoons will be the perfect time :) i've been having some computer troubles... when i use gmail in Internet Explorer, my computer crashes, like full-on blue screen of death. has anyone else experienced that?! it's so frustrating, for the moment i've just stopped using IE completely. here's the box... the extra treatie this month is couple nail buffers! and the polishes! 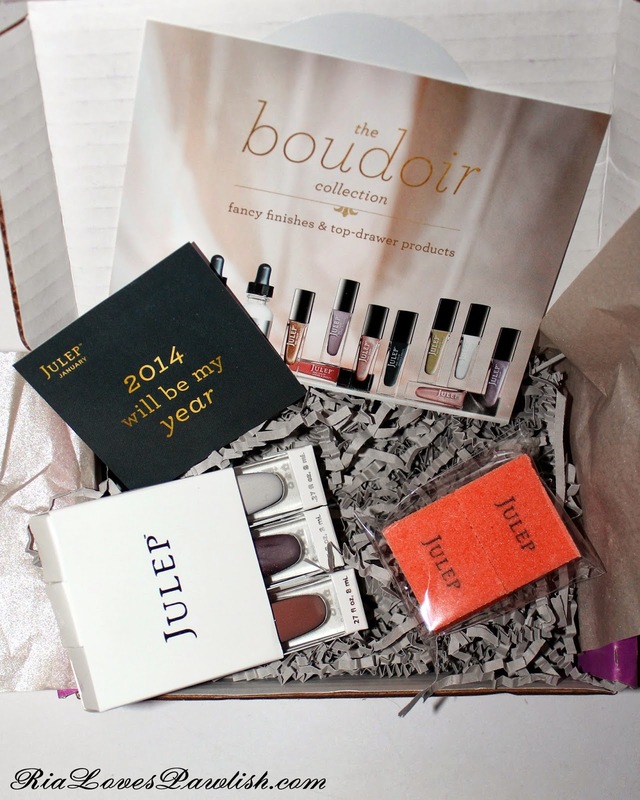 i love that Julep is experimenting with different finishes.